The Royal Budha, leading Thai restaurant in Dubai Al Barsha serves exceptional Thai cuisine with casual dining in a relaxing and elegant atmosphere. 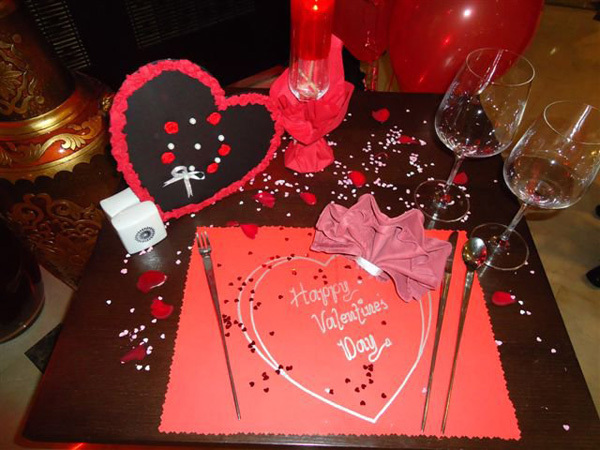 Love was in the air on St. Valentine’s Day at The Royal Budha, the majestic Thai restaurant in Holiday Inn Dubai Al Barsha. The rich and intense décor of the restaurant set the mood for a passionate dinner. Couples enjoyed a heady evening with a sumptuous set menu and a bottle of wine. Included in the extensive menu were the most popular Thai treats such as Pho Paih Goong Sod, Pla Jar a Med Somrod and Rum Mit Thai Thai among other favourites. The evening ended with couples holding each other’s hands and reassuring each other that they would be back next Valentine’s at the same place – The Royal Budha at Holiday Inn Dubai Al Barsha. All in all unforgettable experience!